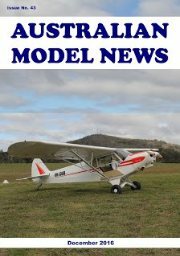 Welcome to Noarlunga Model Aero Sports Inc.
Noarlunga Model Aero Sports invites you to come and learn to fly with us at our flying field Clisby Lane Seaford Meadows. in building and flying model aircraft. Due to the generosity of a benefactor, a limited number of $100 grants are now available to juniors who join NMAS. The grant may be used towards the club joining fee, or paid in cash once a ‘Wings’ rating is achieved. Our experience is that young people from age 11 can quickly learn the skills involved, with some achieving ‘Wings’ in just a few months. The sponsorship as described is available to juniors under the age of 17. Training is held on Sundays from 10am. Please note that Club rules require juniors to be accompanied by a parent/guardian when at the flying field. The risk of crashing on your first flight will be greatly reduced. You will get value for money out of you modeling gear. You will have social contact with persons of similar interest who are prepared to pass on their knowledge and advice on many aspects of aeromodelling. Training sessions are conducted each Sunday morning between 10.00am and 1.00pm. Several volunteer instructors are rostered on between these times and training is a free service to members. Training is conducted by way of a ‘buddy’ box system where possible. If you have an interest in aircraft and wish to become a pilot but can’t afford it then model aircraft flying is for you. Just ask one of the members who will arrange for an instructor to assist you. We invite you to come to our field, speak to the instructors and experience the thrill of model aircraft flying. All visitors are welcomed.